As a female, I know one of the favorite things to receive for the holidays is jewelry. 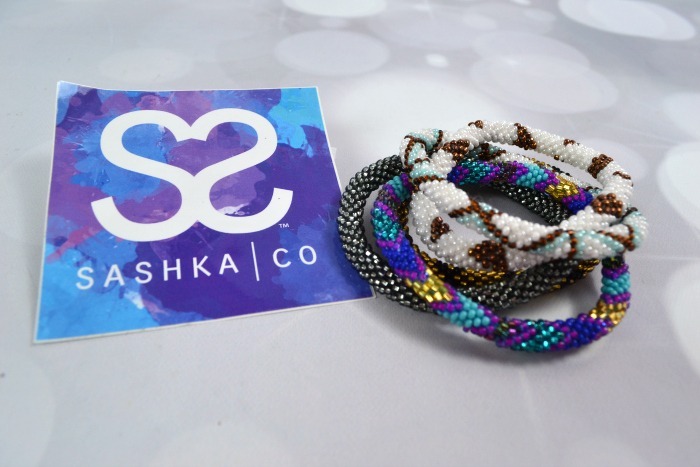 Sashka Co. is the perfect place for beautiful bracelets that the female in your life is sure to love. Sashka Co. makes gorgeous glass beaded bracelets that are handmade with love by artisans in the Kathmandu Valley of Nepal. 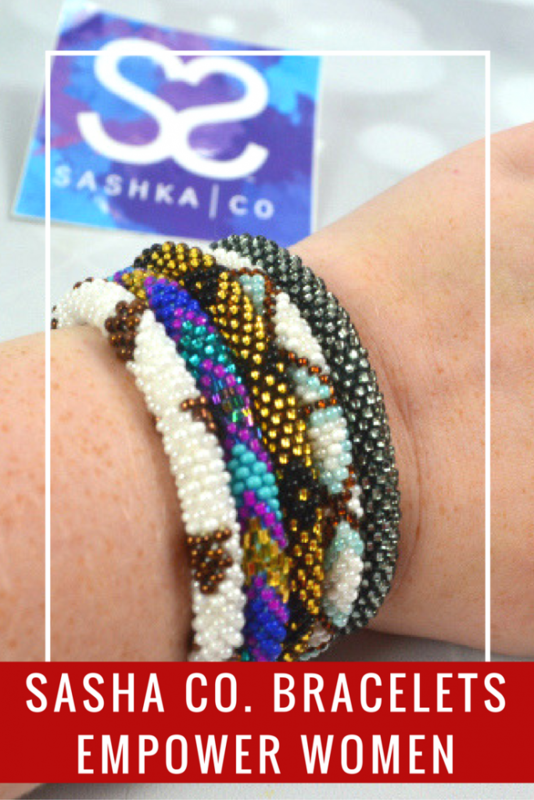 I love that by purchasing Sashka Co. bracelets, the proceeds help to empower Nepali artisans to raise about poverty through fair trade. 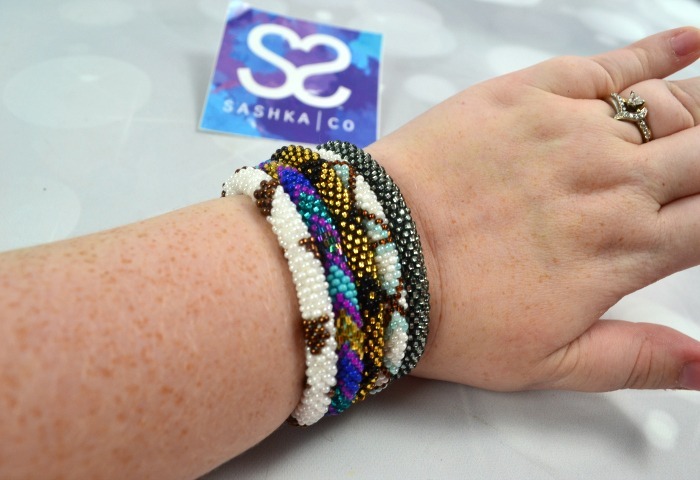 I absolutely love my Sashka Co. bracelets. Not only are they gorgeous, but they are comfortable. I’ve found that some bracelets are super uncomfortable on my wrist, especially if I put them on my right hand and write. But these are very comfortable. 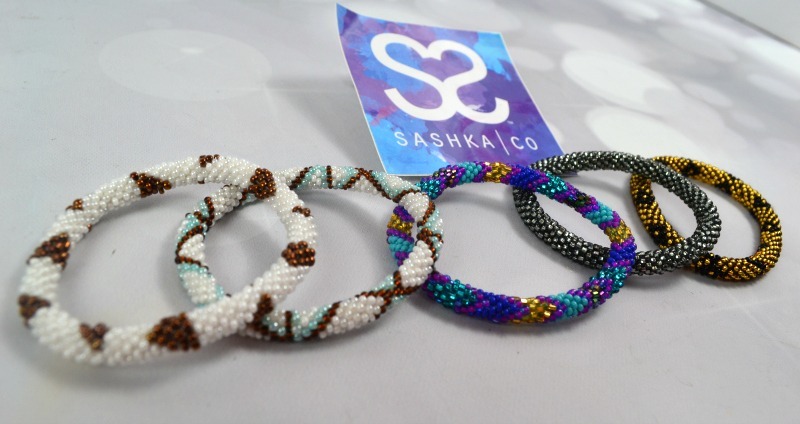 Sashka Co. has so many different colors and designs of bracelets. They have solids and prints. There are sure to be bracelets that you will love, or that the person you are gifting them to will love. You can even join their rewards program that they have. Save up points from purchases – you get 10 points for every $1 spent – and then redeem them for money off of your next purchase. Collect just 500 points to get $5 off! This is a great way to save on beautiful bracelets that supports and empowers women in need. These are so pretty. I love their cause for doing this. Thank you so much for sharing. They would make great gifts.